Illinois always scores high on those national surveys of political corruption, right there with Louisiana, Jersey, New York. Many of our All-Stars learned the trade on county boards, village councils, mosquito abatement commissions. Colorful rogues:Bathhouse John, Big Bill, Fast Eddie, Betty the Maltese Falcon. Some local Illinois corruption is jaw-dropping: Rita Crundwell - the Dixon Horse Lady - who pilfered $50 mil over 20 years. Some misdeeds are creative: Cook County Assessor Frank Keenan - who really was an artist - “selling” his sketches of Loop buildings to building owners seeking reassessment. 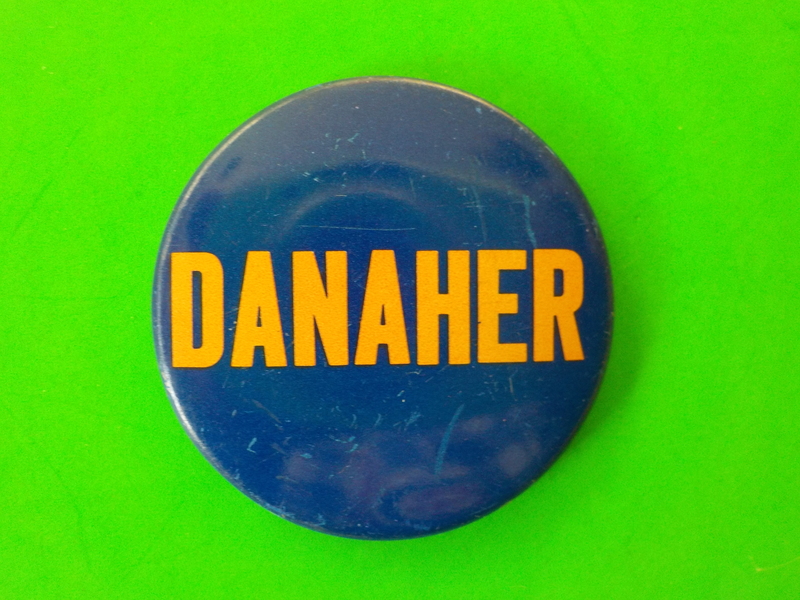 Hinky Clerk of the Circuit Court Matt Danaher was a Daley go-fer who died before going to trial for $400K in kickbacks. Morgan Finley - another hinky Clerk of the Circuit Court – was jailed for racketeering in Operation Incubator, but kept his $2 million City pension. Chicago Ald. Ambrosio Medrano is notable for having been convicted 3 times for public corruption, still the Gold Standard. He once said “Pigs get slaughtered, hogs get fat.” (Or is it the other way around?) This is not to be confused with Bill Beavers’s “I’m the hog with the big nuts”…what with these porcine metaphors? 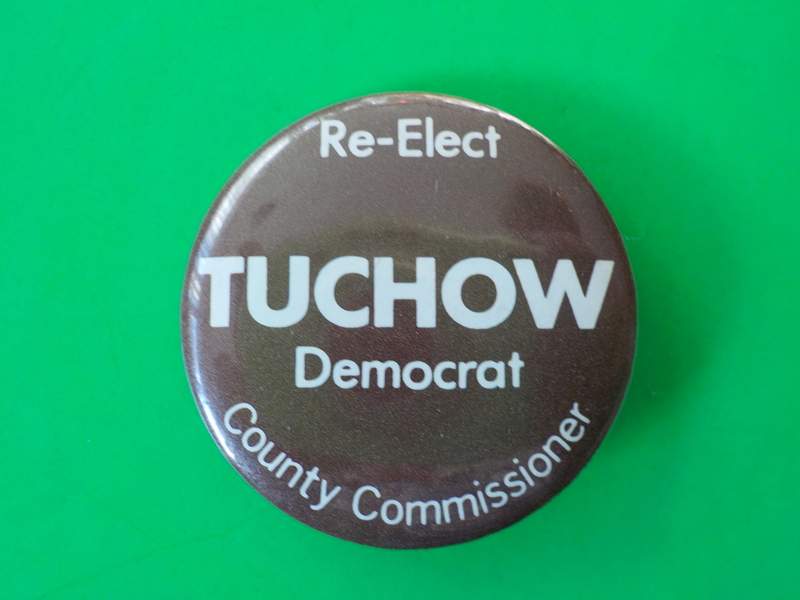 Marty Tuchow was a 3-term Cook County Board Commissioner, Con Con delegate and long-time 48th Ward Dem Committeeman. One of Tuchow’s fundraising methods was to bill City employees for “raffle” tickets (for their convenience). He supposedly invited a 48th Ward bar-owner to buy him golf clubs. 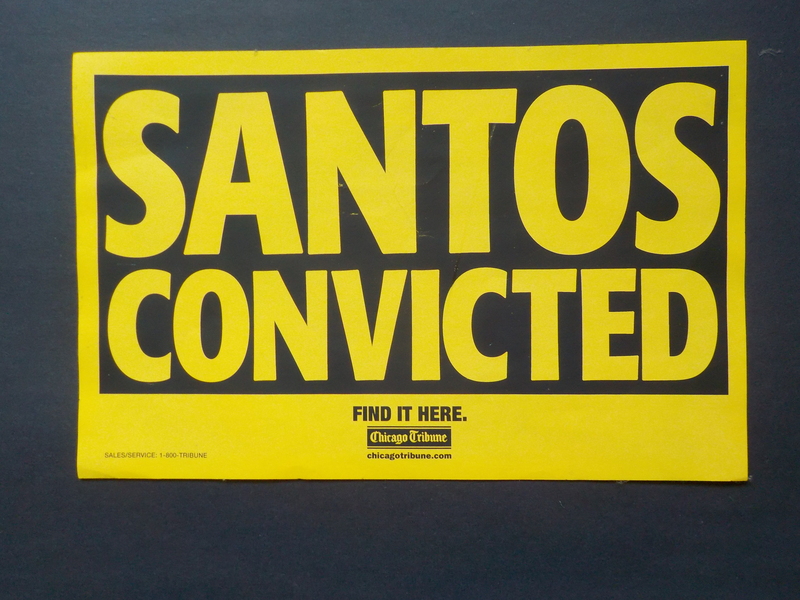 He was convicted in 1983 of shaking down local contractors for building permits, and sentenced to 8 years at “Club Fed” (home to Rosty, Medrano, Bloom, others), where he served 2 years. Chicago Ald. 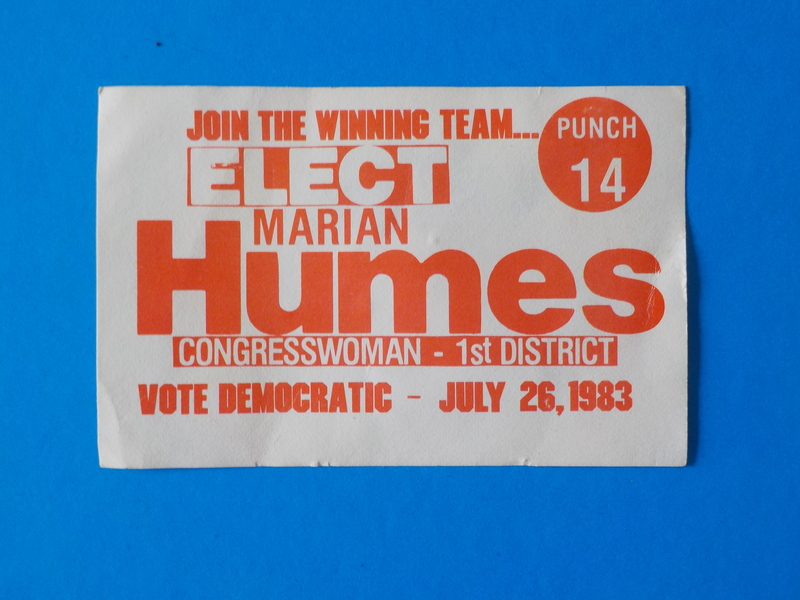 Marian Humes was a former CPD teacher who didn’t rock the boat in City Hall until she joined the 1982 boycott of Mayor Jane Byrne’s ChicagoFest. She was not a Harold ally. Humes was convicted of taking bribes from a mole in Operation Incubator. The scandal cost Humes her seat in 1987; in 1989 she was sentenced to 2 years, later reduced to 6 months work-release. In 1998, Chicago Ald. 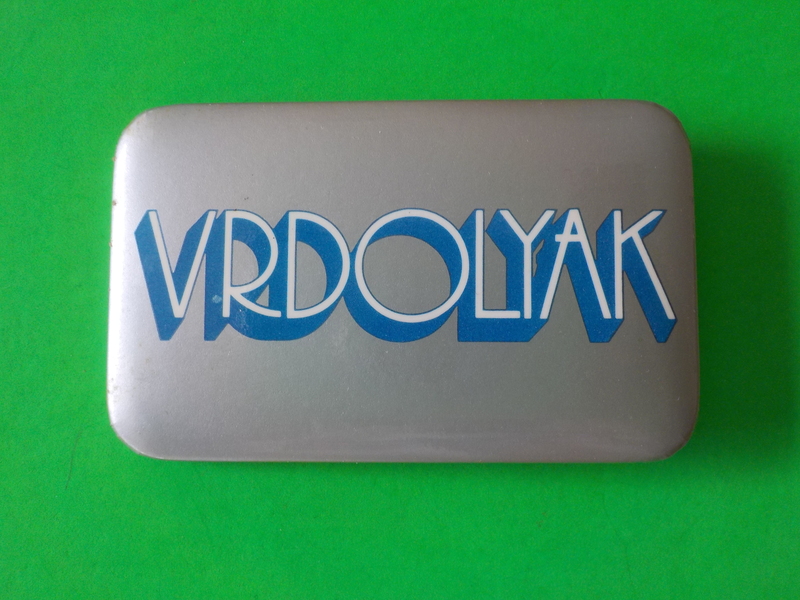 Larry Bloom was convicted in Operation Silver Shovel for bribery (a measley $14K!) and dummying campaign disclosure reports. A squeaky-clean guy who had run for Mayor, State’s Attorney AG, he spent 6 months at Oxford Pen. There, he shared a wing with other Illinois jail-birds: Chicago Aldermen John Madrzyk (ghost-payrolling), Virgil Jones (bribery) and Jesse Evans (extortion), along with State Sen. Bruce Farley (double-dip ghost-payroller…see below) and Water Rec Comm. Tom Fuller (also snagged in Silver Shovel which used a mole to snare dozens of pols). Joe Gardner. Meteoric rise, tragic end. 1982 - helped lead ChicagoFest boycott. 1983 - runs Harold’s field ops. 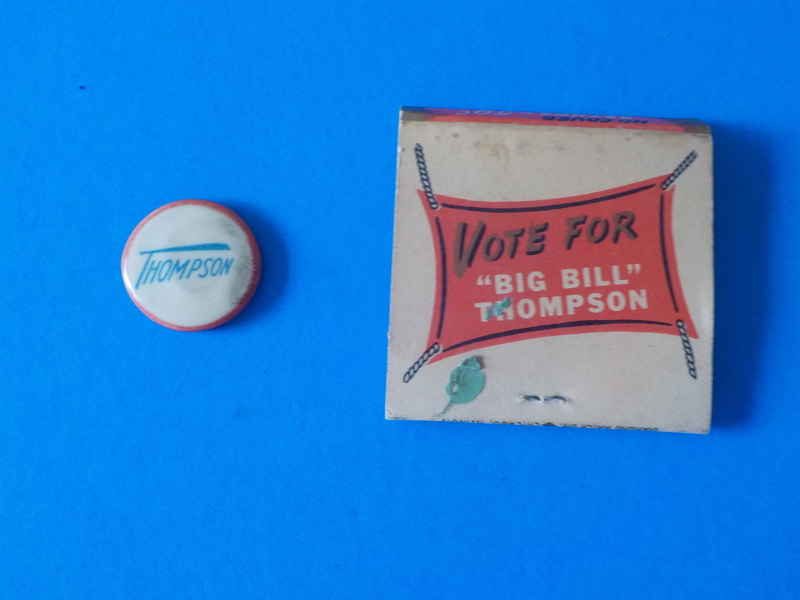 1988 - wins seat on Water Rec. 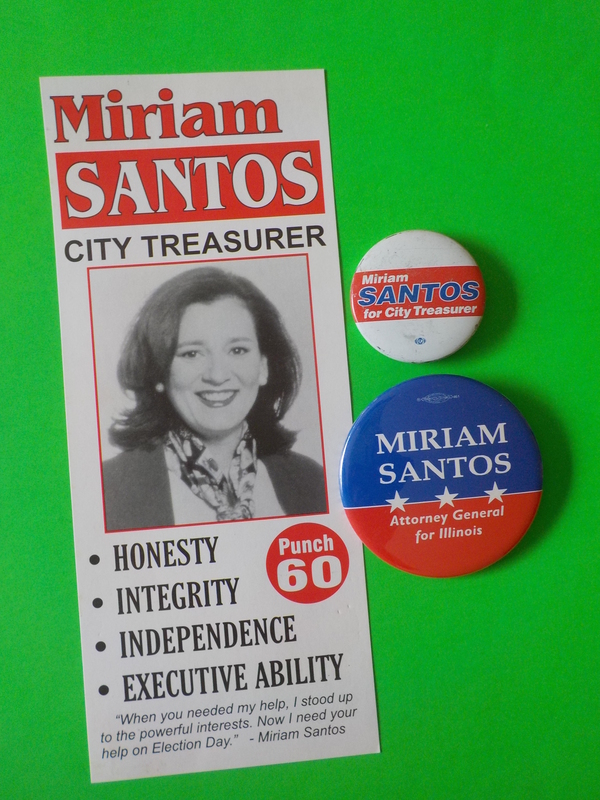 1991 - loses City Clerk bid. 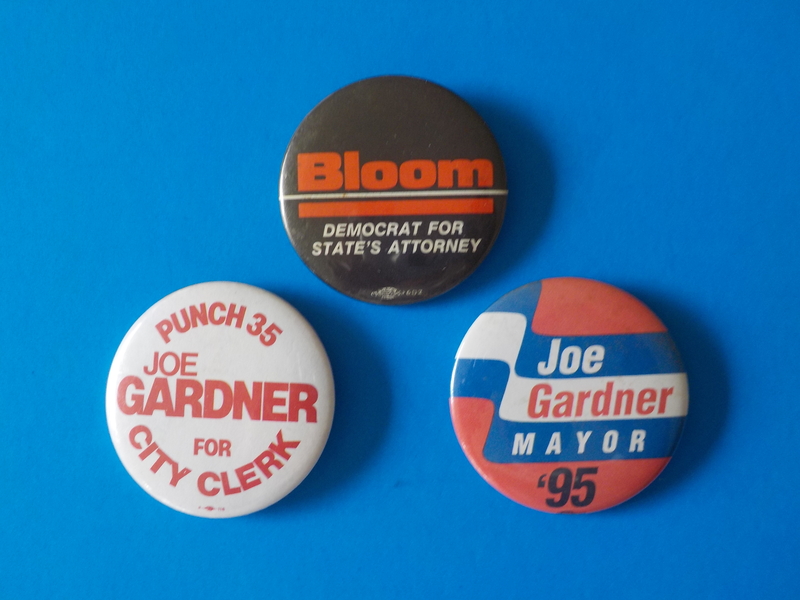 1995 - loses Mayoral bid. 1996 - implicated in Silver Shovel bribery scandal, then dies at age 50. 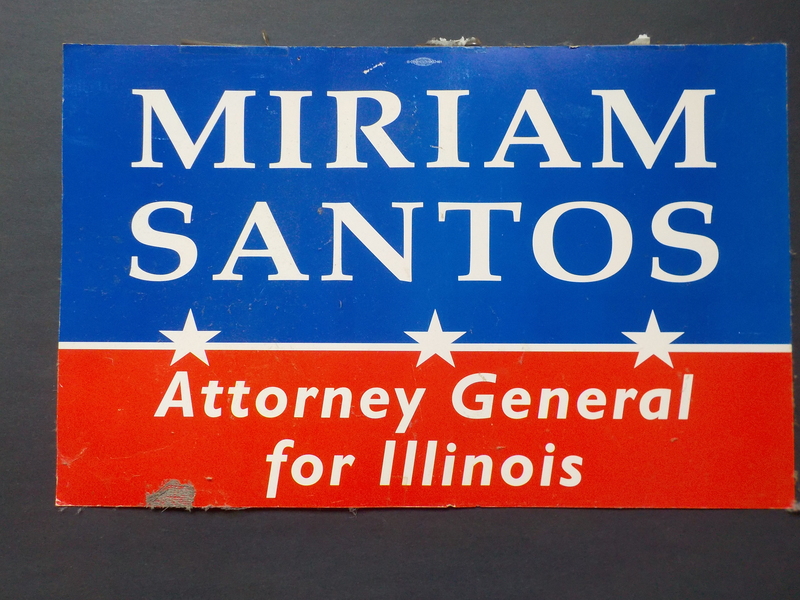 In 1999, Chicago Treasurer Miriam Santos was convicted of extortion and using city staffers for campaign work. She was famously recorded telling bankers with City business to “belly up” and kick-in to her 1998 Attorney General’s campaign. She got 40 months, appealed, pleaded guilty to reduced charges and was sentenced to “time served”. Her political career - once so promising - was over. It’s believed she got into hot water when she challenged Daley the Younger who was trying to get control over pension funds. In 1998, six-term Cook County Treasurer Eddie Rosewell, State Rep/State Sen. Bruce Farley and others were nailed in a ghost-payroll scheme in Operation Haunted Hall. Farley (who lost his Senate seat to Lisa Madigan) was sentenced to Oxford Pen for 18 months. Shortly after pleading guilty, Rosewell died. 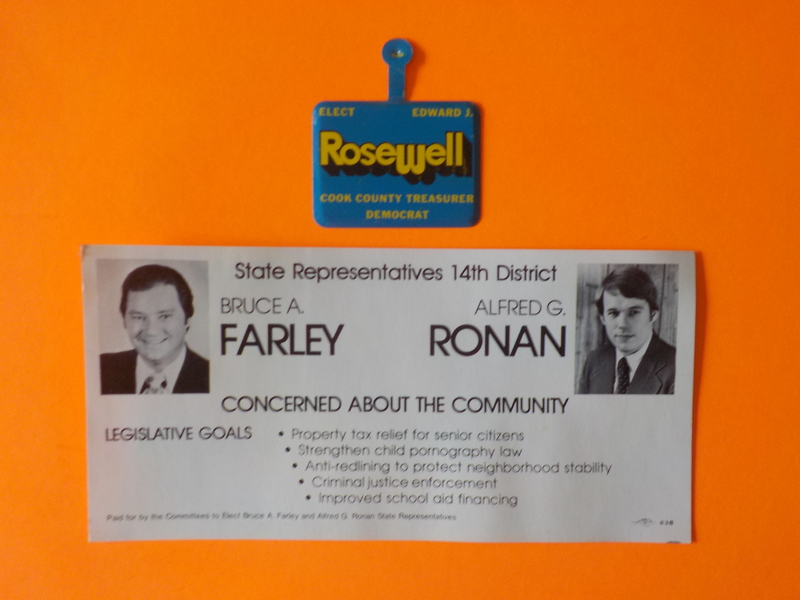 (Back in those happy pre-Cutback days, each House District had 3 State Reps. That’s how Farley & Al Ronan ended up together on this '78 brochure. (FULL DISCLOSURE: This author volunteered for Ronan’s first campaign, a weird mix of scruffy IVI-types & IDOT workers.) 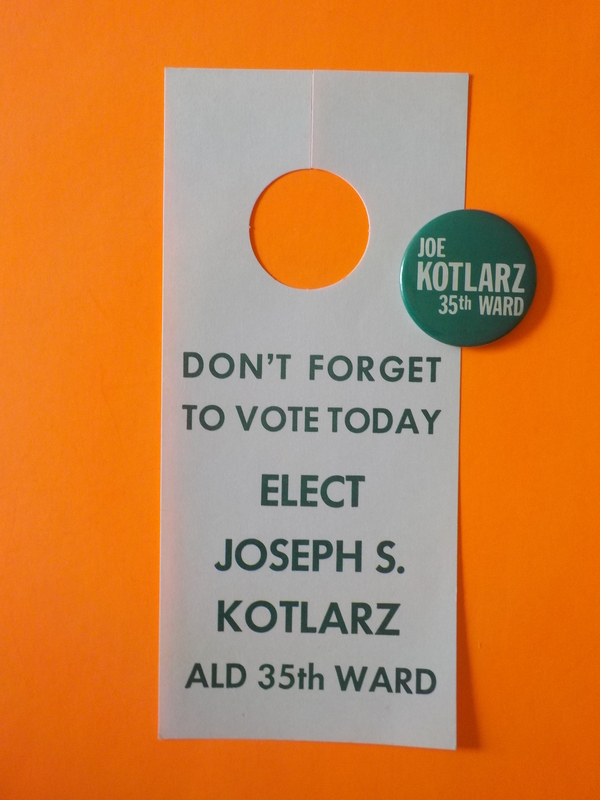 Joe Kotlarz was both a Chicago Alderman & State Rep. He was busted for “theft by deception” relating to his lobbying work, the Illinois Tollway & Waste Management. Dems-turned-Repubs. 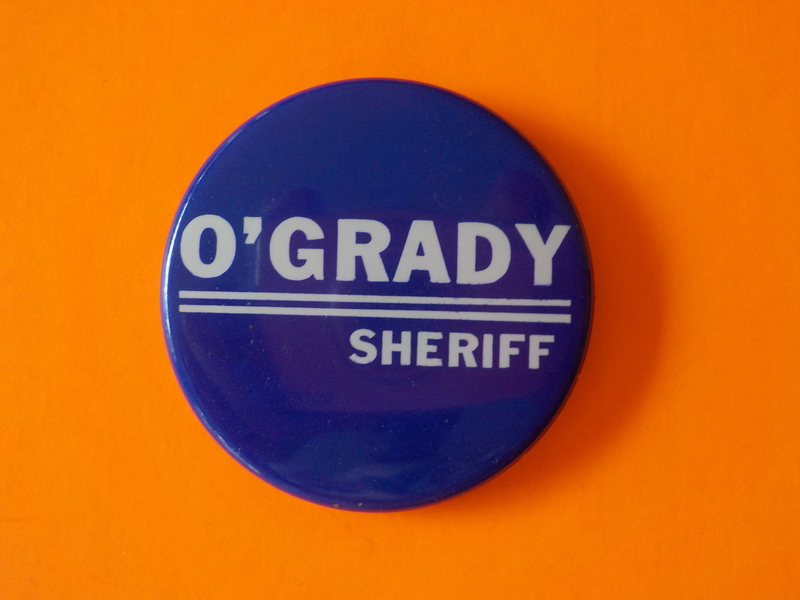 Cook County Sheriff James O’Grady was never indicted, but corruption is his office was rampant, including ghost-payrolling, bribery and shaking down deputies for campaign cash. 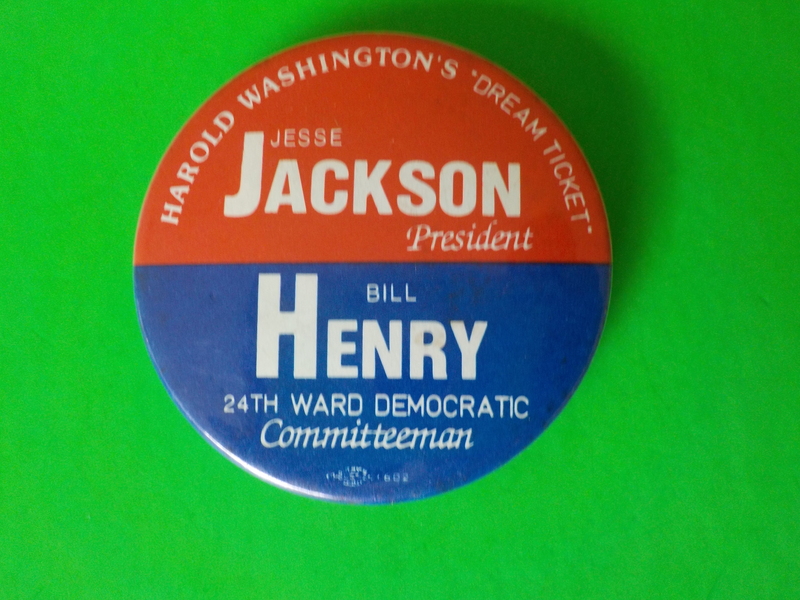 FULL DISCLOSURE: This author became acquainted with many BUSTED pols on the trail. It’s a weird feeling, someone you know (and maybe respect) getting nabbed like that. I always liked Gardner, Santos, Laski, Bloom, others who ran afoul of the law. 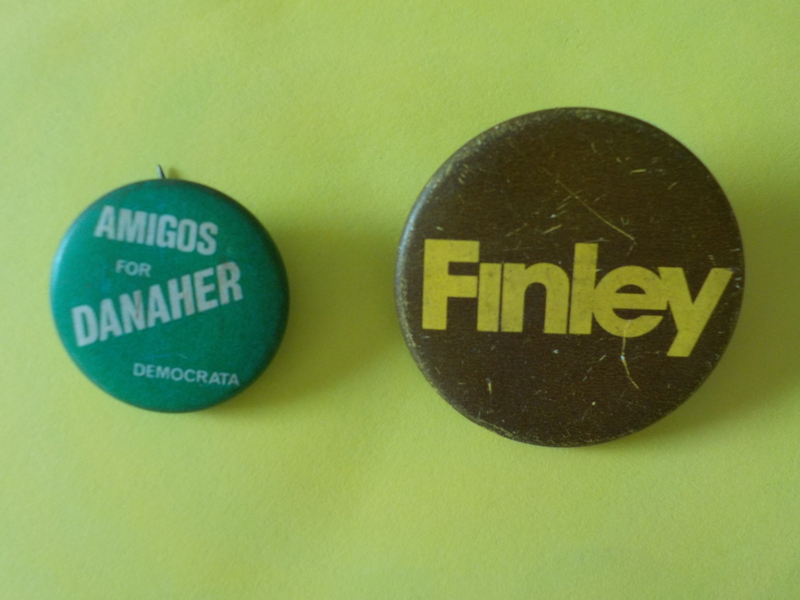 I guess if you’re in Illinois politics long enough you know people.